The Breakfast at SERVE events are organized by the Young Lawyers Group of the Prince William County Bar Association. The SERVE Campus of Northern Virginia Family Service provides a number of services to at-risk families in Prince William County, including temporary shelter for the homeless. Weekday meals are provided for shelter residents, but weekend and holiday meals are not. The Young Lawyers Group of the PWC Bar organizes a hot breakfast, generally on the last Sunday of every month, for approximately 80 residents of the shelter, half of whom are children. 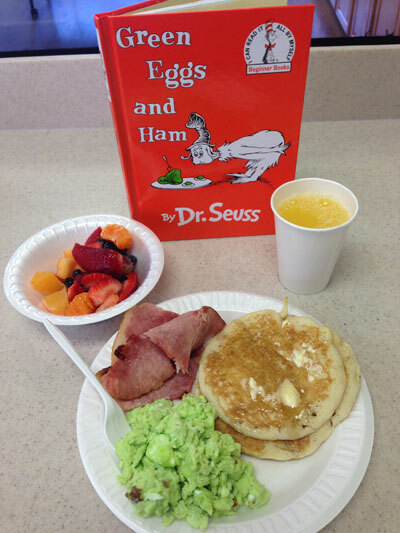 The monthly breakfasts often have a fun or seasonal theme such as, “Green Eggs and Ham”, or pumpkin shaped pancakes, and include activities for the youngest residents, such as story time, cookie decorating, or the distribution of donated toys, gift baskets, etc. Funding for these breakfasts is provided through the Prince William County Bar Foundation and private donations. The PWC Bar Association received a Volunteer Appreciation Community Champion Award from Northern Virginia Family Service in recognition of this program.